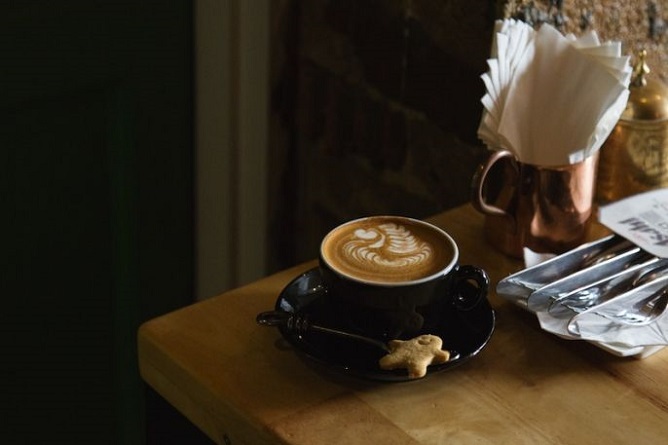 With more and more insanely cute character-themed cafes popping up everywhere on our sunny shores this year, we round them up and share with you why they are worth the trip down! Although there are plenty of Hello Kitty cafes in other regions, Singapore’s Hello Kitty Orchid Garden is the first and only one operating 24/7! A whimsical floral paradise located at Changi Airport, Sanrio devotees can perch on the iron-wrought swing seats, pose with life-sized figurines, and shop exclusive merchandise which includes tea blends, grow-it-yourself plant kits and special edition plushies. Take your pick from an extensive menu of all-day breakfast delights like Big Breakfast Sunprise (pictured above, $18.50). But the real deal is inarguably their beautifully-plated desserts. No point looking at the photos, you have to head down yourself to experience and taste it for yourself! 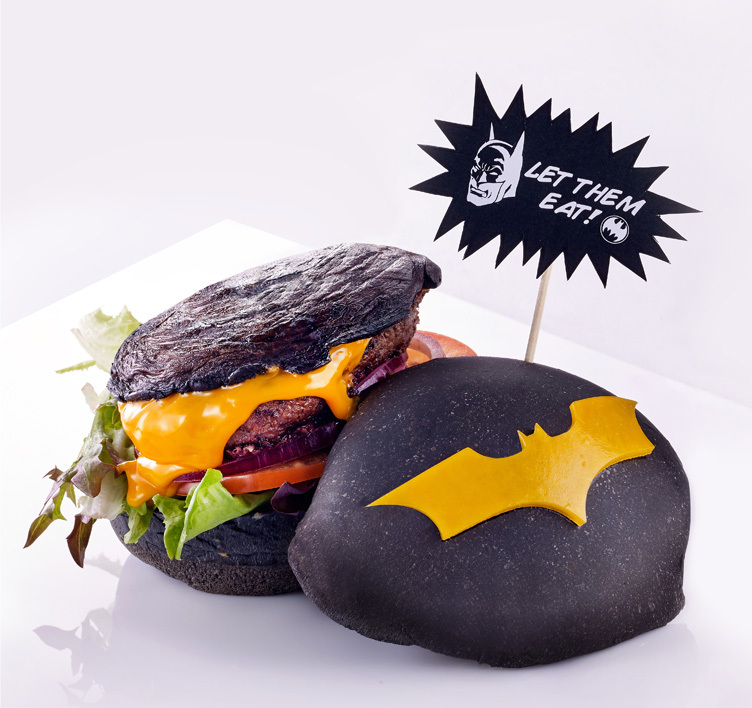 Fancy chowing down a Batman charcoal burger, sipping a cup of Wonder Woman tea, or grabbing a Green Lantern salad to go? 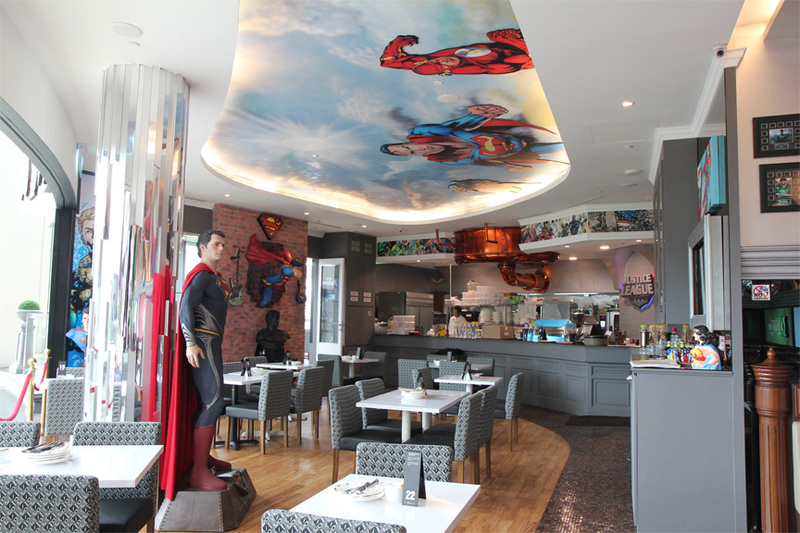 If you’re a true-blue DC geek, head down to the DC Comics Super Heroes Cafe for the ultimate experience. Be served drinks in Superman/Batman cups, and relish in a comics-inspired selection of creative dishes such as the Superman’s Country Charm Chrilled Chicken ($19.90) and Batman vs Joker Quaky Duck Pasta ($19.90). And the best part? This place’s officially licensed by DC Comics so you can fuel your obsession with the plethora of apparel, accessories and other knick-knacks available. It’s no surprise that fans of all ages love this place. After all, it prides itself as the top Peanuts cafe in Southeast Asia. 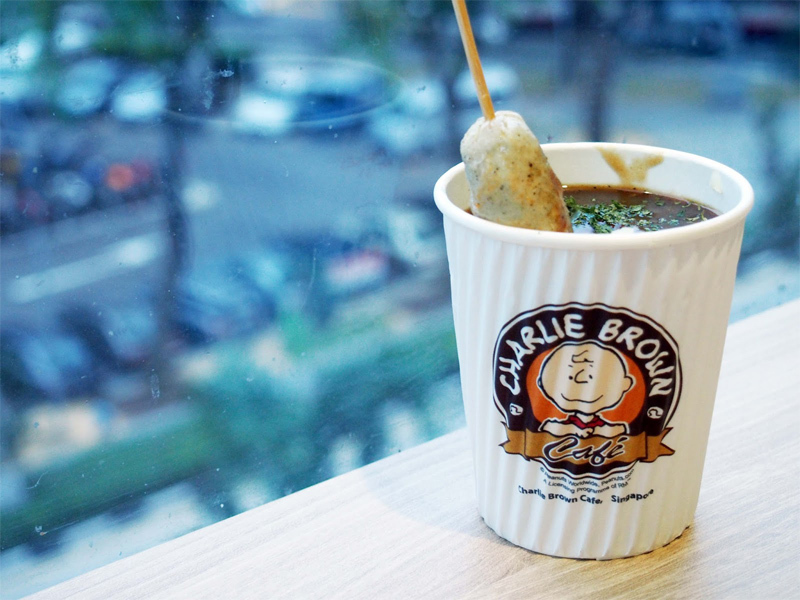 Opening a second outlet in OneKM Mall last year, Charlie Brown Cafe offers patrons a homely space where you can eat to your heart’s content amidst Peanuts comic strips, sculptures and photobooths. They serve a variety of hearty mains like pastas and pizzas, but the bestsellers are undoubtedly the themed fare, which includes Snoopy’s Lava Cake ($8.80), Woodstock Cherry’s Signature Crepe ($9.80) and Sally Apple’s Fruity Pancakes ($9.80). After which, take a look at the souvenir section where you can get your hands on the newest collectibles. Aspiring Pokémon masters can now realise their dream of entering the Pokémon universe (albeit a makeshift one), provided you can survive the hours-long queue. From now till 31 July, the retail space of F&B establishment Everything With Fries will be transformed into a Pokémon pop-up cafe, the franchise’s first ever venture outside of Japan. Fans can look forward to an irresistible array of Pikachu-fied fare, especially the Pikachu Smiling Rice Omelette ($25) and Pikachu’s Sweeeeet Pancake ($20), which come with a free Pokéball mug. There’ll also be limited edition mementos on sale such as T-shirts, tote bags, and even a Pikachu’s tail keychain. And if you’re lucky, you might even have a chance to take selfies with the Pikachu mascot. 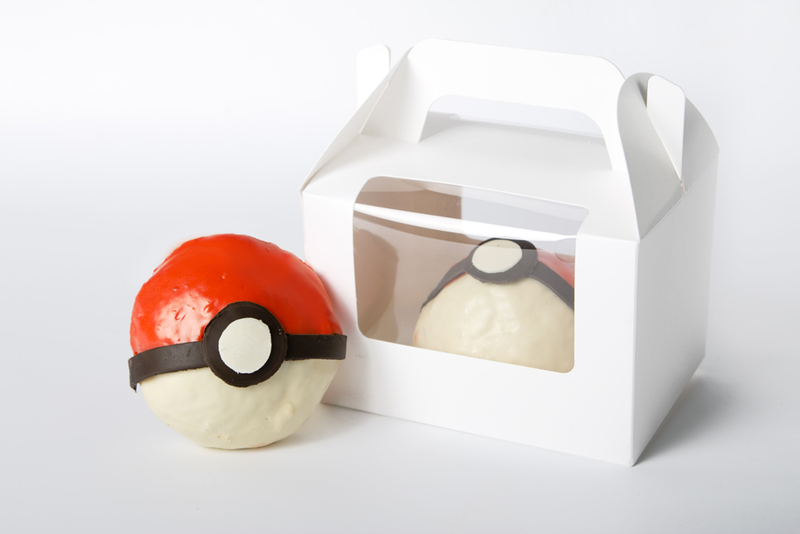 Gotta catch (and eat) ‘em all! Grab a copy of our July 2016 issue and you may just win yourself a $20 cash voucher to Pokémon Cafe! Find out more here. 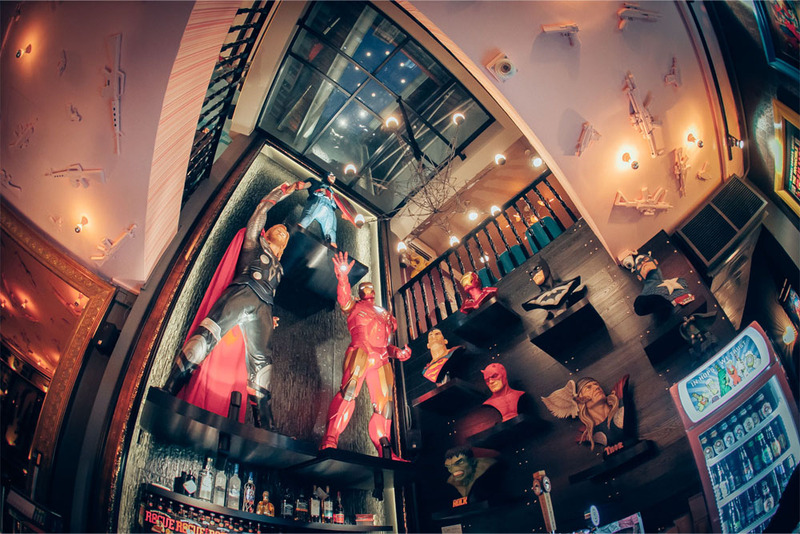 Whether you’re a DC die-hard or a Marvel fan, you can get your superhero fix at Hungry Heroes. While you wait for a table, gawk at memorabilia of life-sized statues, head busts, weaponry, figurines and movie posters filling the walls. Then, stuff your face with their outrageous menu of ji-ba-boomz! 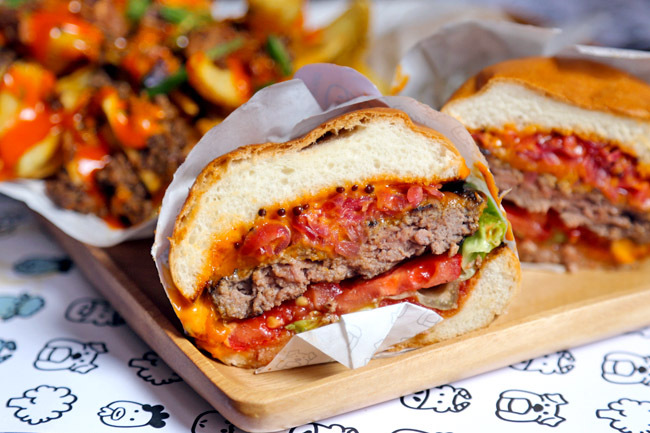 burgers like the Mega Steak-Out Burger ($38) and Mother of all Chicken Burgers ($32), as well as specialty meat platters like Johnny’s Inferno Spicy Pork Ribs ($21) and Nuclear Fission Angus Beef Cheeks ($28). Portions are huge, so grab your comics-obsessed pals and gather here for a feast! First thing to tick off on any Pompompurin fan’s bucket list? 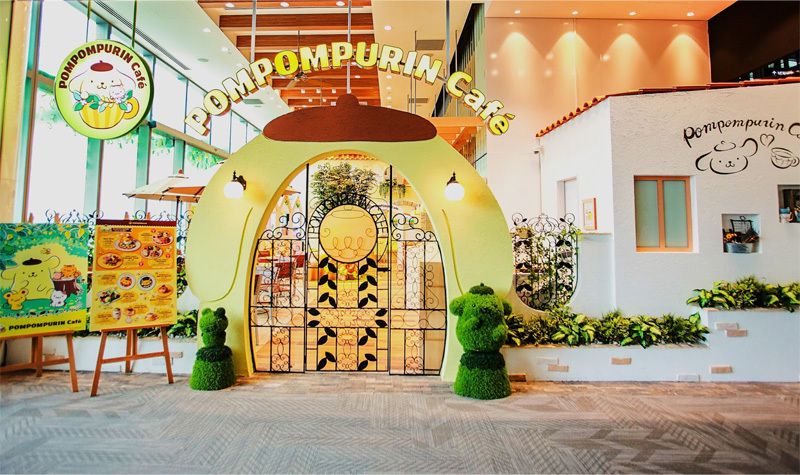 A trip to the newly-launched Pompompurin Cafe in Singapore, of course! 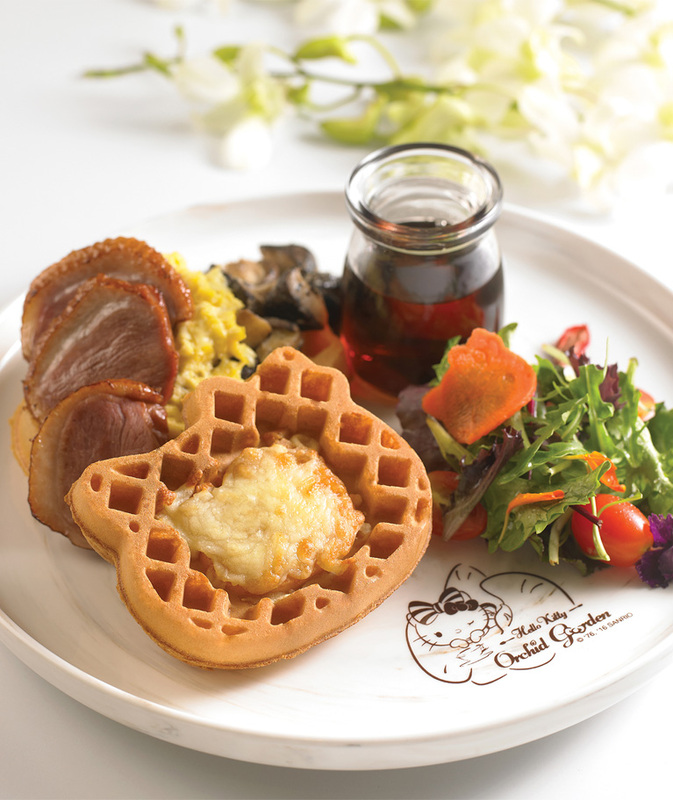 Similar to its Hello Kitty counterpart, the charming golden retriever adopts a garden city theme for its 78-seater home, featuring Tomodachi house (which means ‘friends house’ in Japanese) booths all patrons will definitely make a beeline for. You’ll be greeted with everything Purin upon entering, from the wallpaper to merchandise to cutleries, to of course the grub. Try not to squeal at the downright adorable Taco Rice in a Cup of Friendship ($19.99), or the Pompompurin’s Banana & Caramel Pancake ($16.99). The food isn’t entirely life-changing, but at least you’ll leave with plenty of pretty pics. 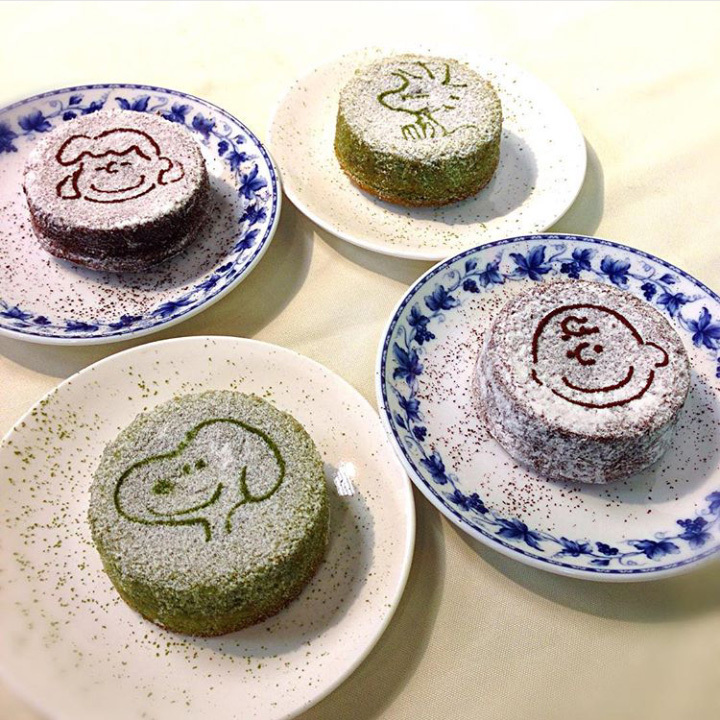 To sweeten the deal, order any dish bearing a mug logo beside it and you can even bring home your own Pompompurin mug! Which cafe is your favourite? Share it with us by commenting below! It’s music galore weekend! With GOT7 and B.A.P heading to our shores to perform and not forgetting that Baybeats Music Festival is happening this weekend too! Calling all vintage lovers or hoarders alike! 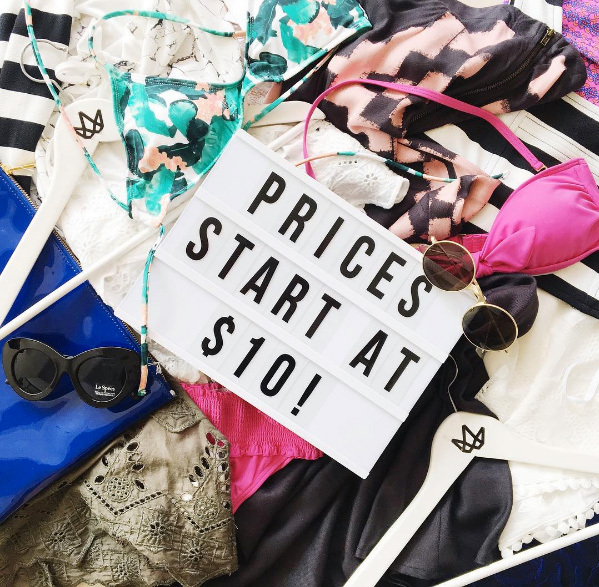 Breeze Bar Vintage Flea Market is happening this weekend and you absolutely wouldn’t want to miss it! 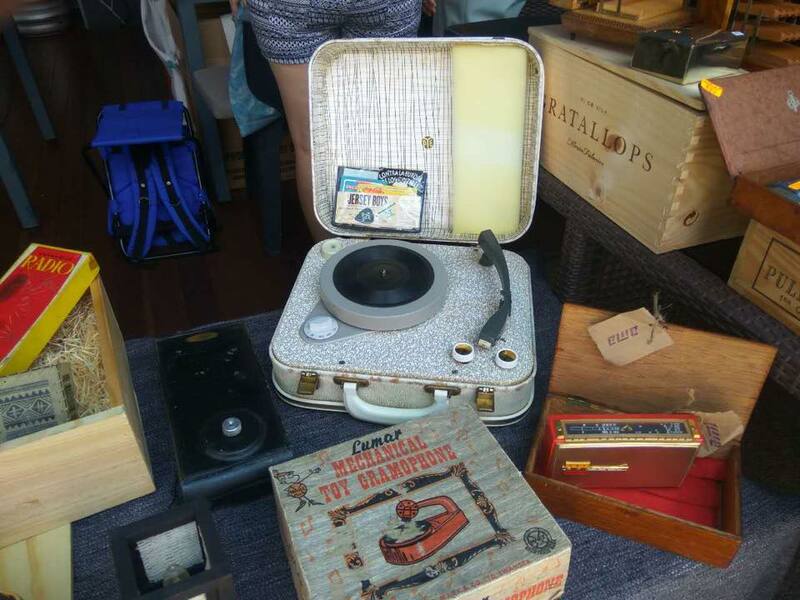 With a wide array of vintage wares like authentic vintage apparel, typewriters, cameras, turntables etc – I’d definitely be spending some cash at the flea. 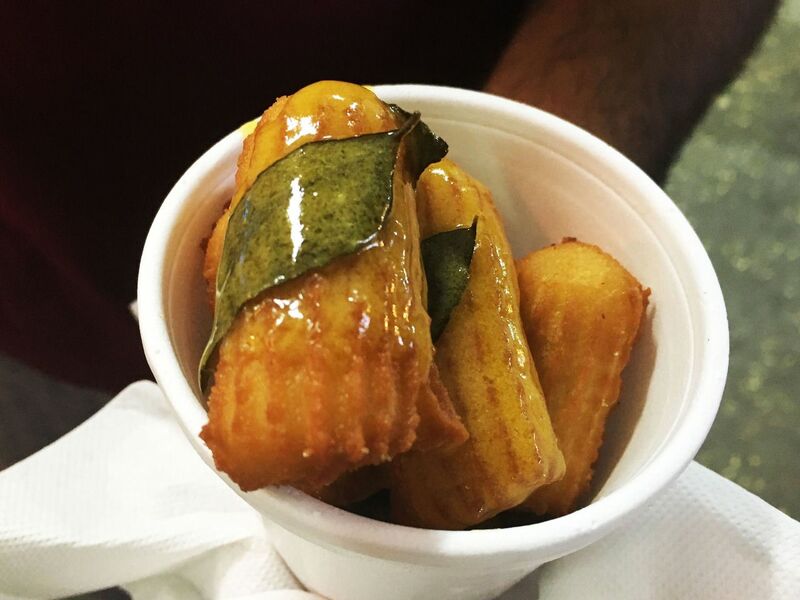 If you love Camberwell Market and Notting Hill Market, you’d definitely love this. 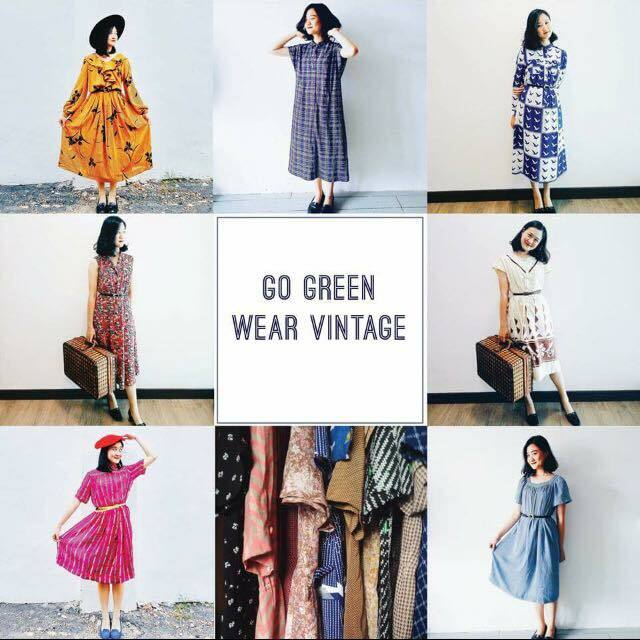 Breeze Bar Vintage Flea Market is happening on 26 June at 1018 East Coast Parkway, Singapore 449877. More details here. Ordering food online is an (almost) everyday thing for me so I’m really glad that Deliveroo is delivering islandwide now! Plus they are celebrating it with some pretty awesome deals. 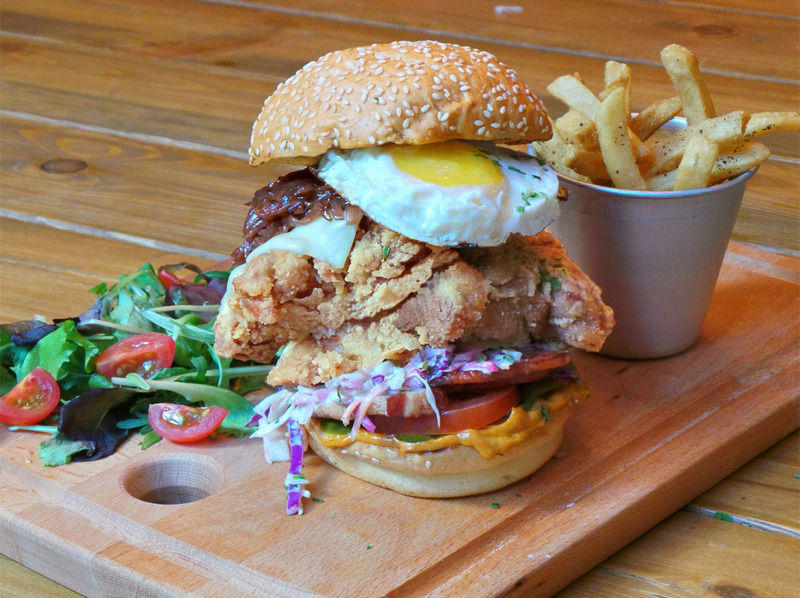 For this week only, get 1-For-1 on your favourite burgers from restaurants such as Barossa, BERGS, Harry’s, Three Buns Potato Head Folk and so many more! Time to get fat. Like Find Dory, I’ve waited a long time (20 years to be exact) for a sequel to Independence Day and the wait is finally over! I’m loving the alternate history futuristic alien hybrid Earth and definitely expecting more epic fights in Resurgence. Being a huge fan of the movie, I went to dig for Easter Eggs most people would have missed in the movie trailer. Read more about it here! Just four months after their last visit in February, GOT7’s returning for a concert this Friday (Oh GOT7, you’re spoiling us, not that we mind). And it’s particularly exciting ’cause despite coming regularly for fanmeets and stuff, they’ve never held a full-fledged show in Singapore. From our past experience, you’ll definitely be getting a whole lot more fan service, and see them bust out their new moves from their latest album Flight Log: Departure. Also, don’t forget to follow us on Instagram/Twitter for live updates! 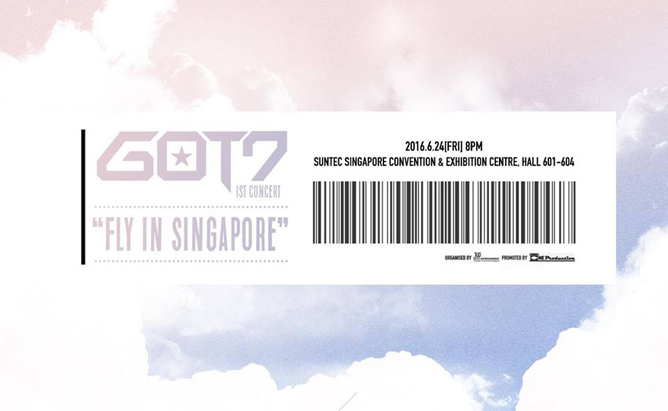 GOT7 Fly in Singapore will be held on 24 June, 8pm at Suntec Singapore Convention & Exhibition Centre, Hall 601 – 604. Tickets are still available at APACTIX. 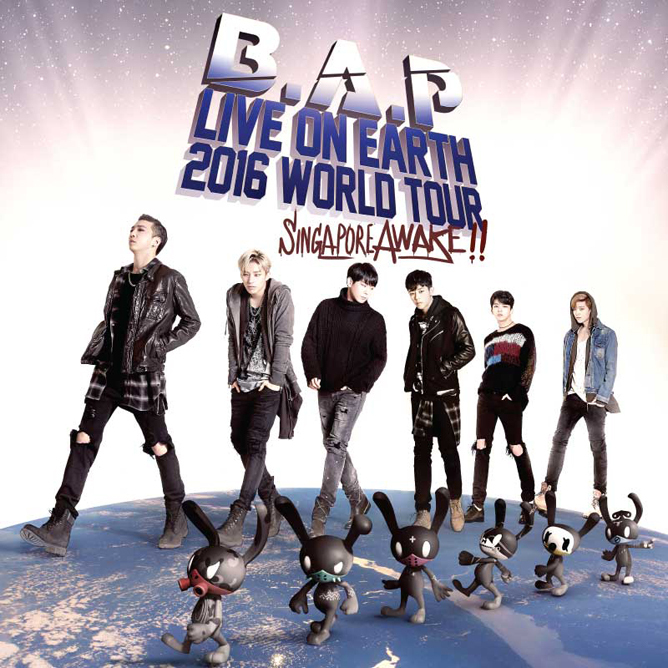 Before you go side-eyeing us for including a press conference which is usually closed to the public, B.A.P is actually holding an open press conference at City Square Mall’s Fountain Square this Sunday before their Live On Earth 2016 World Tour Singapore Awake!! concert at The Star Theatre. So don’t miss the chance to see them answer burning answers from the media floor! Psst, we’ll also have a special surprise for all you BABYz after the concert, so make sure to watch our space for it. The B.A.P press conference will be held on 26 June, 8pm at City Square Mall, Basement 1 Fountain Square. Yes, another music-related event to hit up – this time, for the non-Kpop peeps who much prefer to #SupportLocal. We’re pretty sure you’re no stranger to this long-running fest, it’s the biggest of its kind in Singapore and this year’s edition is bringing onboard plenty of fresh homegrown talents like Disco Hue, The Summer State, and Cashew Chemists, along with an impressive bunch of international acts like Unclose from Japan, Sunset Rollercoaster from Taiwan, and The Dirt Radicals from Australia. Gather up your indie pals and head over to Baybeats for a night of cool tunes and chill vibes! 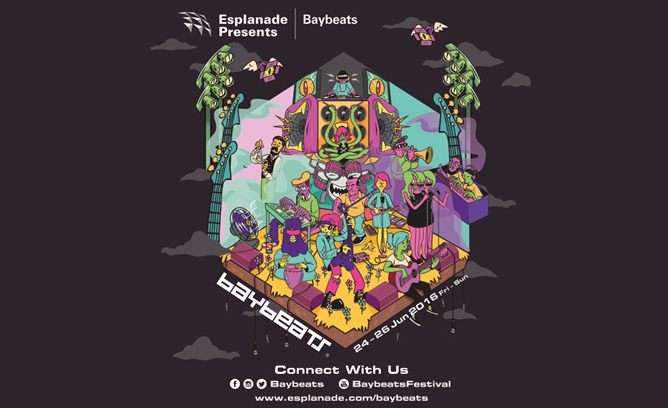 Baybeats Music Festival 2016 is happening from 24 to 26 June, 7pm to 1am, at Esplanade Theatres on the Bay. Admission is free. More details on their website. Where are you heading to this weekend? Let us know in the comments below! Mother’s Day is one of the most celebrated occasions on the calendar, but Dads most certainly need love too! Running out of time for gift shopping or to plan an elaborate dinner? Check out these last minute things you can do for your Dad this Father’s Day. Throw him a surprise BBQ party with the help of the rest of your family members. 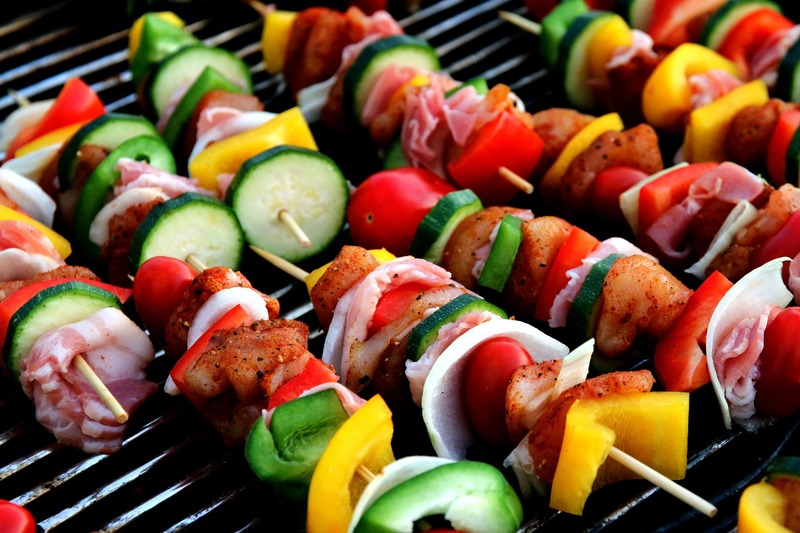 You can order the catering from places like exBBQ, BBQ House, BBQ Wholesale or Hungry BBQ. Alternatively, you can opt for a meaty father’s day dinner at Carne & Caipirinha, an all-you-can-eat Brazilian Barbecue House. What’s more, all fathers eat for free on the 19 June when dining with at least one other full paying adult and one child. How a woman loves her makeup is just like how a man loves his car. 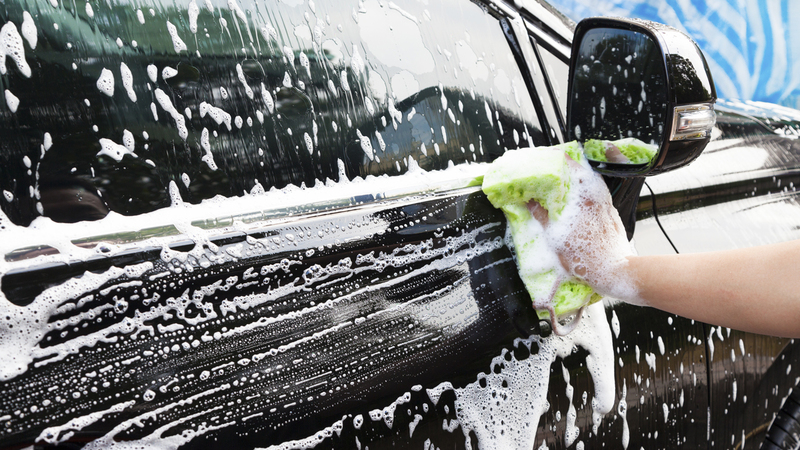 So give your dad’s vehicle some TLC by giving it a good wash/polish! Polishing requires a bit of time and patience, so make sure you’re up for the challenge. And if you’re worried about damaging his car, we’re sure he doesn’t mind a good car wash. Here’s a step by step guide on how you can wash/polish his car! It doesn’t get any cooler than this. 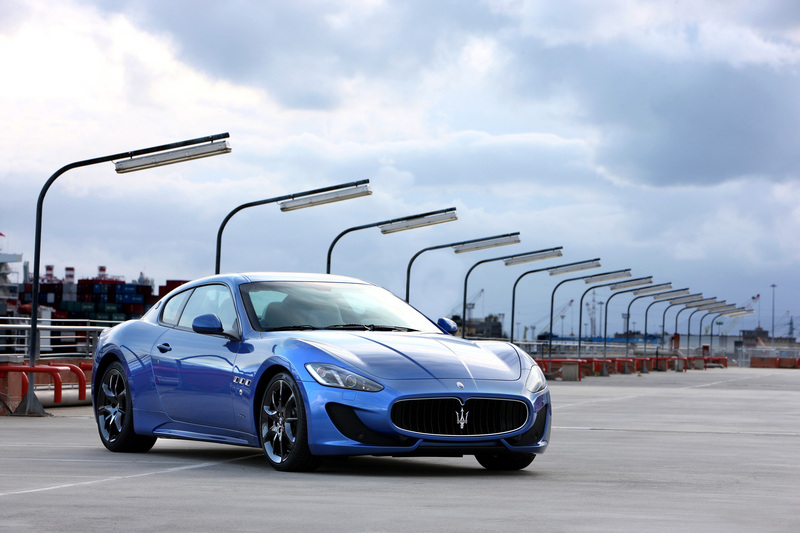 Fathers dining at Regent Hotel Singapore (Basilico, Summer Palace, Tea Lounge or Manhattan) are invited to exclusively test drive the luxurious and ultra cool Maserati Ghibli 330, Quattroporte S and Gran Turismo Sport. He’ll be thrilled at this extraordinary opportunity. Surprise your dad with an awesome deeply relaxing back massage! You don’t have to be a trained professional, just check out the short video above and you’re good to go! What are you doing for Dad this Father’s Day? Let us know in the comments below! No idea what to do this weekend? Teenage is here to save the day! There’s nothing your dad will appreciate more than you giving his vehicle a good wash and scrub and that’s what I’m planning to do this weekend! I’ll even polish his car to make his “present” even sweeter. If this isn’t a good option for you, check out this list of things you can do for your dad this weekend! 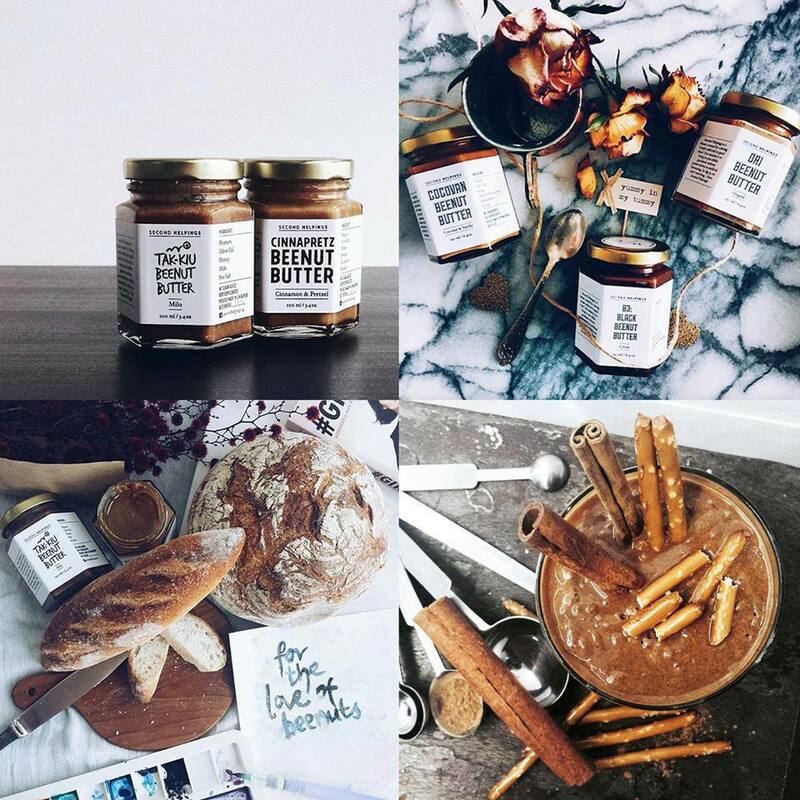 Celebrate all things fresh and local at Gillman Barracks Farmers’ Market! 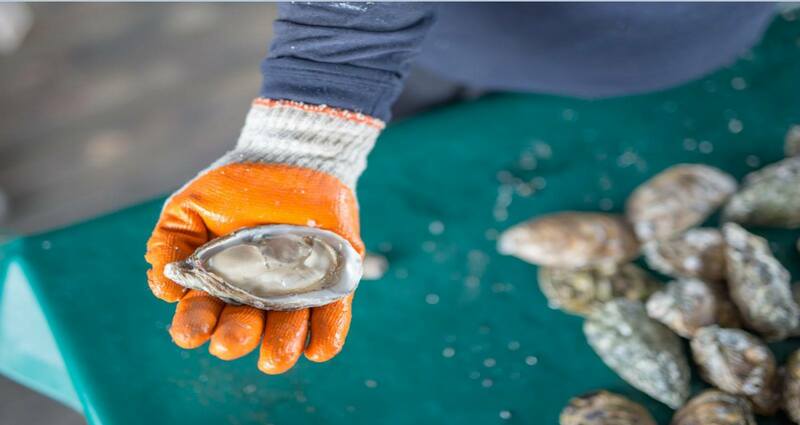 I’m definitely heading down to grab some of the freshest – homegrown – Pacific and Maine oysters from Sea Farmers at Ubin. *slurps* Other than eating, learn how to grow your own food by joining the community gardening at Red Baron as you sow seeds and grow out shoots. You can also get some Grow It Yourself kits at the market to DIY at home! Food is the only reason why I go to the Ramadan Bazaar every year without fail. 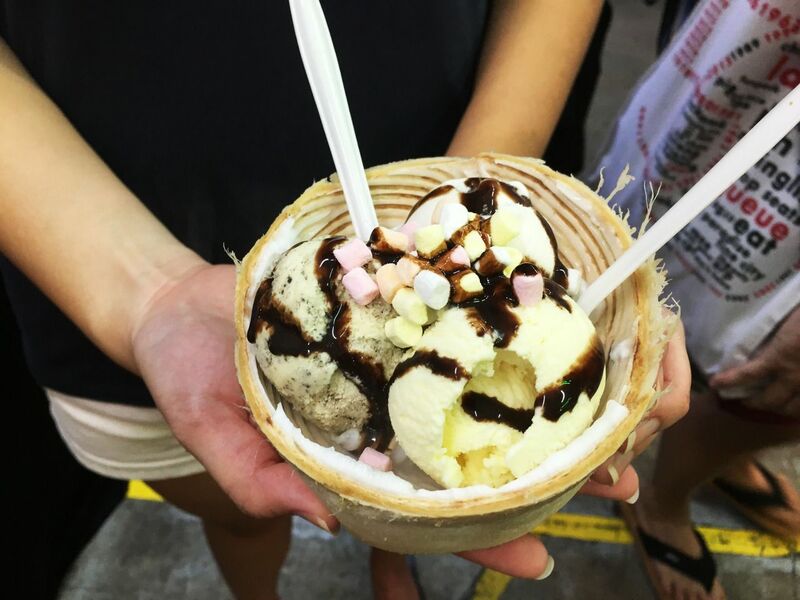 And with people coming up with all sorts of interesting combinations every year – think rainbow bagels, coconut ice cream and salted egg everything, you get the gist – it’s not hard to see why the crowd keeps on coming. 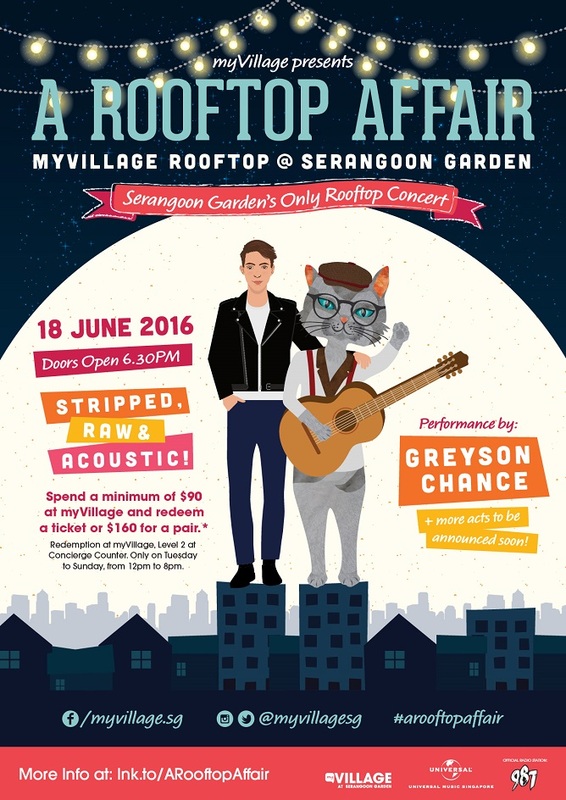 I’m all ready for a night of stripped, raw and acoustic music at A Rooftop Affair with headlining act Greyson Chance! If you didn’t manage to win tickets from Teenage, no frets! You still can redeem tickets by spending $90 at myVillage for 1 invite, or $160 for 2 invites. 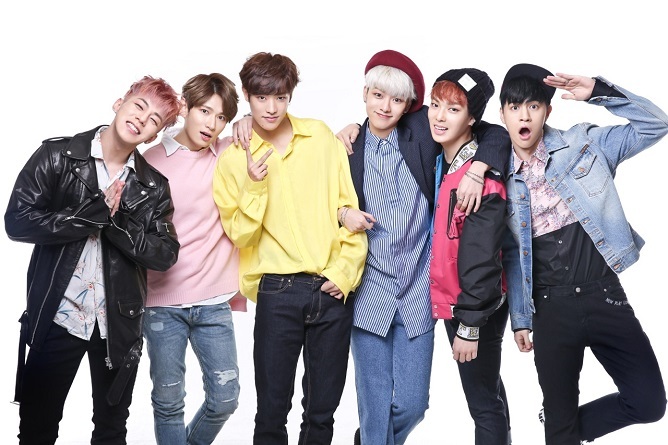 K-pop boy band CROSS GENE is coming to town as part of their Parallel World fanmeeting this Saturday at MILLIAN Singapore, and we’re expecting plenty of explosive performances and heart-fluttering fan interactions. Teenage had a little tête-à-tête with the group over email and they already sound like a gaggle of hyperactive puppies through plain text, so just imagine the amount of mayhem we’d witness in real life! Check out our hilarious interview here. It seems like forever since the wait for Now You See Me 2 began (although it’s only been three years), but it’s finally here! The much-anticipated sequel to the heist thriller flick stars the remaining members of the Horsemen – Jesse Eisenberg, Woody Harrelson and Dave Franco – along with new famous faces Daniel Radcliffe as a tech whiz, Lizzy Caplan as an illusionist, and most notably, Jay Chou as Li, the owner of a magic shop. We hear that it grossed a whopping $23 million in its opening weekend – all we can say is, good luck to all the other local box office contenders this week! There’s been a crazy array of markets popping up recently, but the one that I’m most excited about is the Art Sprawl Night Market. Organised by The Local People and National Heritage Board, this one-of-a-kind market hosts over 50 food, art and retail vendors, including terrariums by IN|OUT, fresh flower arrangements from Post a Posy, healthy popsicles from Juicy Licks, and the highly-raved Japanese Raindrop Cake from O’ Raindrop Cake. Plus, fun workshops, live story-telling sessions, wall installations and even a night movie screening! Art Sprawl Night Market 2016 is happening from 18 and 19 June at Artsplace @ Waterloo Centre. More deets at their event page here. Heading anywhere interesting this weekend? Share it with us by commenting below! So many things to do, so little time. Check out what the Teenage team have to recommend for you this week! If you’re into fresh local and artisanal produce then you should totally check out Open Farm Community Social Market happening this weekend! From homemade smoothie bowls to locally farmed oysters, indulge in these yummy guilt-free goodies and chill to some live music. I’m going to stock up on my Beenut Butters by Second Helpings (I often go for thirds), made with honey and without preservatives. Do bring your best tote bag and also don’t forget your sunscreen, hat and brollies! This highly anticipated annual shopping extravaganza is back and they boasts a bigger, eclectic mix of 25 retailers, brands and designers, with more than 50 contemporary labels for a one-day-only sale this year! Featuring up to 80% off shoes, clothing and accessories for men and women, save on brands such as Superga, Lazy Oaf, Dr. Denim, Klarra, Le Specs, MinkPink, Free People and many more! Think as low as $10 for a pair of Superga and $35 for a pair of Le Specs! Gonna get my weekly dessert fix at Dapper Coffee this weekend! 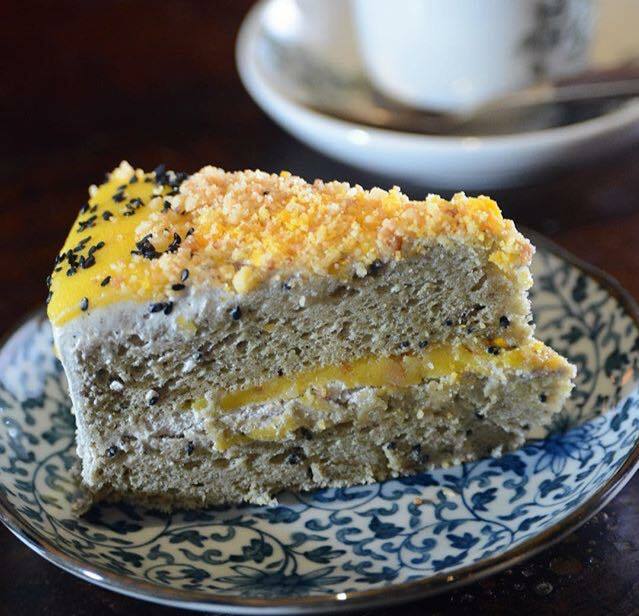 They boast an endless parade of experiential cakes like Gula Melaka Walnut Oat, Matcha Raspberry White Chocolate and a low sugar Honey Lemon Crumble Cake. But I’m in for the Salted Egg Sesame Cake and Salted Egg Earl Grey Cake cause the weekend is for indulging. What’s brewing at the Singapore Coffee Festival? From 9 to 12 June, indulge in a weekend of specialty coffee, coffee appreciation talks, barista workshops and a local kopi showcase while you chill out to live performances from the likes of Charlie Lim, Enec.e, Cashew Chemists, and more. For the caffeine-immune night owls, find a cosy spot, grab a cup of joe, and enjoy a local film or two (881, 7 Letters, Eating Air etc.) under the stars. Ticket sales have already stopped online, but you can still purchase tickets at the door. Singapore Coffee Festival will be happening from 9 to 12 June at the FT Pit Building. Check out our guide to SCF here. 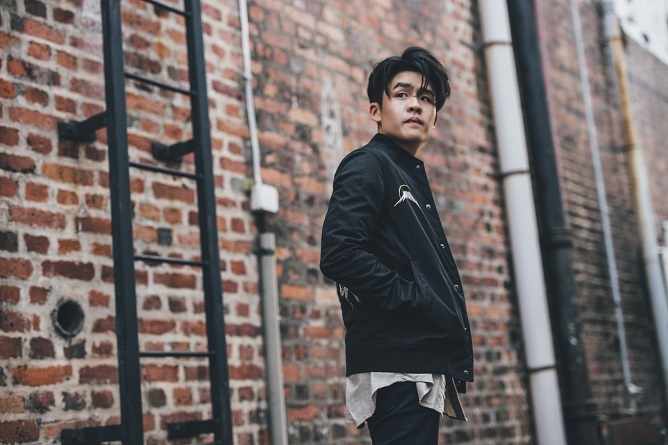 From penning songs in his bedroom to performing in front of sold-out crowds, Gentle Bones (aka Joel Tan) has certainly made his mark as one of the most sought-after artistes in Singapore. And he’s now staging his first ever solo concert on 10 and 11 June at The Esplanade Concert Hall. Look forward to a night of eargasmic tunes from his forthcoming sophomore EP, along with earlier crowd favourites like ‘Until We Die’, ‘Save Me’ and ‘Sixty Five’. In case you need more reasons to get a ticket, give this a read. Tickets for 11 June are still available on SISTIC! From $35. Can’t go on pub crawls? Instead of chugging alcohol, you’ll be gulping wholesome cold-pressed juices. 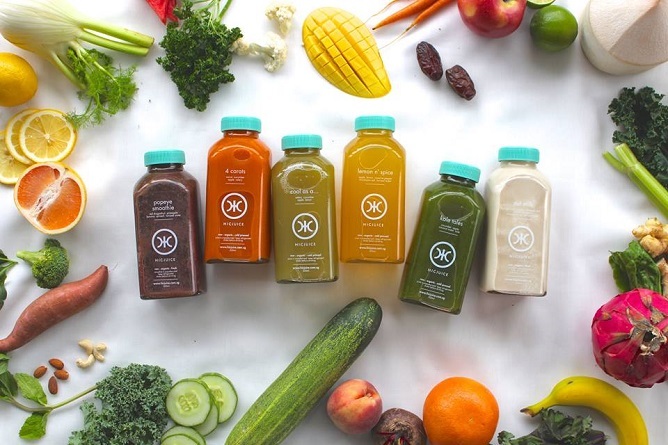 Enter Juice Crawl, the first-of-its-kind social gathering where you can sample up to 20 different juices from HIC Juice, Seed & Soil and Juice Junkie, and mingle with other health-conscious individuals. Not just that, there’ll be hatha yoga sessions, exciting games and activities, as well as attractive goodie bags to take home! Where will you be heading to this weekend? Let us know in the comments below!